We had our annual Open Day and a new fundraiser, a Sale of Work, on Sat 06th April. The community of Redcross did not disappoint, and lots of visitors and school families came on the day. 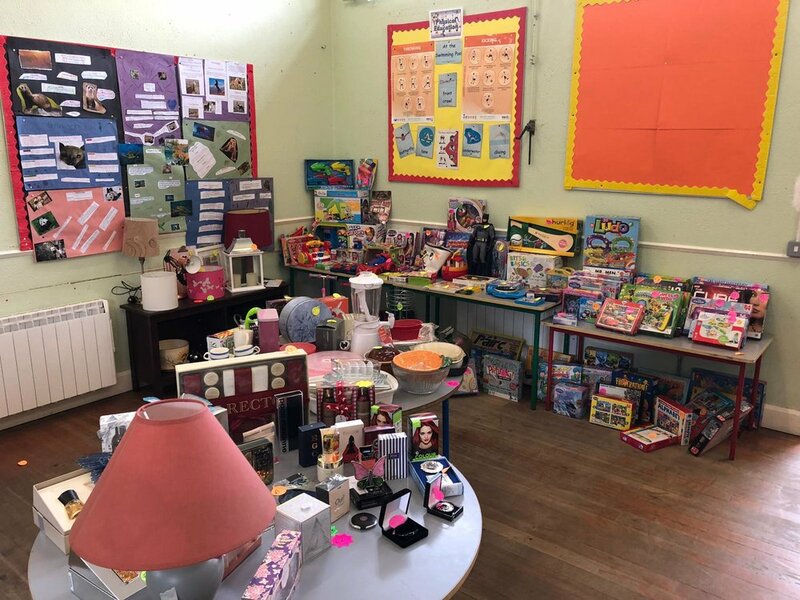 We had items of every description donated by community members and school parents, from clothing, lamps, toys, buggies, bedding, books, handbags etc and lots of bargains were to be got on the day! We also had some gorgeous cakes and treats, baked and donated, to enjoy with coffee or tea or to buy and take home. We also had a raffle on the day. First prize was a monster Easter hamper and two fabulous tarts (donated from Brittas Bay Cafe) was our 2nd and 3rd prizes. 3rd prize (Pear Tart) - Sean O Neill. Overall the day was a huge success, new prospective parents/pupils were able to view the school facilities and meet the staff on the day and we also got to combine a fundraiser and raise money towards a laptop trolley for the school. A total of €1146.94 was raised on the day and will go into our fundraising account for the school. Again thank you to everyone for making the day so successful. Older PostAldi Play Rugby Poster - 2nd Filled! !